How to Boost Organic Traffic With Quick Answers? Download our latest white paper to understand 4 key factors that Google looks at when choosing a page to show up in the rich box. Follow step-by-step process from choosing the best opportunities to optimizing for Quick Answers and measuring success. 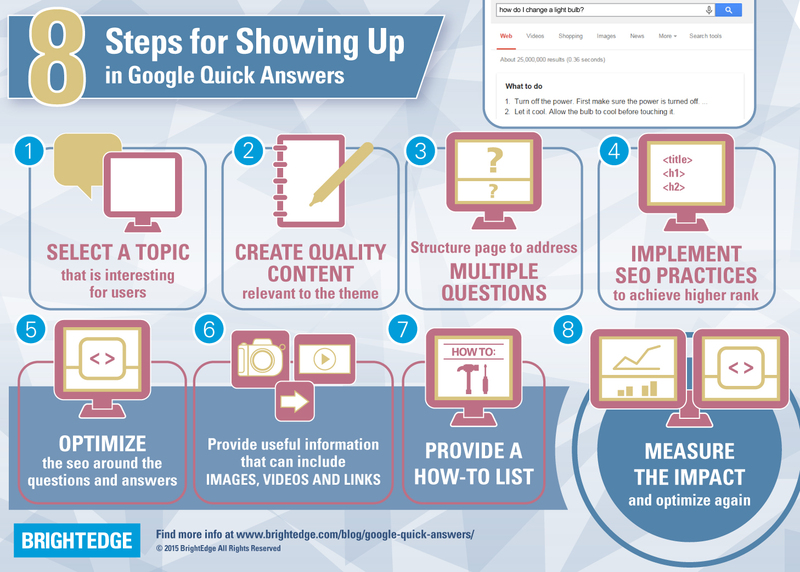 Learn 20+ optimization best practices that maximize your chance of getting into Quick Answers.